Overall, this is a movie which is stylishly made and has few engaging moments. At the box office, the film would appeal to the youngsters and commercial audience so it can become a profit grosser. To sum up, Dohchay is a stylish movie with a decent first half with comedy and romance. The second half has interesting twists with stunts and actions. The action lovers will definitely enjoy this movie. Go for it without expecting much. Looks like Sudheer Varma is also stuck with the second film jinx. Lost in the middle of no where, he mixed up his super hit film Swamy Ra Ra into Dohchay and has lend the support of Brahmi to save the film. Court scene in the climax stands as the only good scene in the second half. If you don't mind some lags and if you are lover of con films, you can give it a try for the comedy and action episodes. 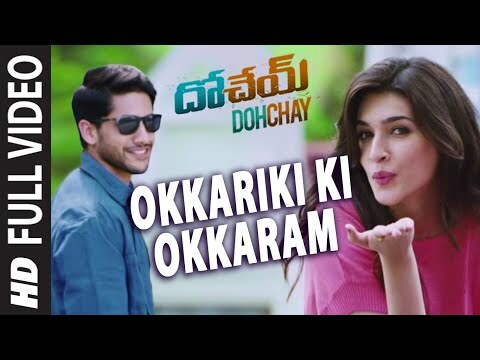 Naga Chaitanya finds himself in the role where he has to underplay everything, whereas Kriti Sanon looks the part as a tomboy; however, the lack of romance between the two leaves a lot to be desired. Richard Prasad's cinematography is a big asset to the film and the action sequences are well-composed. Beyond all its fine moments and laugh-out-loud moments, it all boils down to an elaborate con job. We have seen Sudheer varma screen play in Swami Ra Ra , it hooked us to the seats while in this film despite of slow narration, Screenplay also turned into one of the positive factor. Good visuals and slick BGM apart, this one has a few rib-tickling moments. In the absence of a strong storyline and a tight screenplay, even Brahmi can't salvage it. Dohchay is basically a revenge plot dealt in a different way. Director Sudheer Varma took a very routine plot and weaved a story around it using interesting characters. First half of the film is breezy and entertaining with lots of fun filled moments. Director was successful in keeping the audience entertained without revealing the plot until the interval point. Naga Chaitanya has been decent and stylish throughout the movie. He has improved a lot and performed to the needed levels. Kriti Sanon is sure an asset for the film and she will soon maker her place in the big league. Posani Krishna Murali has been fantabulous as a ruthless don. All others have done a decent job. One Hit, One Miss.Surely, not a film that one expects from the director of Swamy Ra Ra. On the whole, Dohchay has some very stylish action sequences. Interesting premise, well executed first half and a hilarious last half an hour are huge assets. If you manage to sit through the predictable twenty minutes post interval and go in without any expectations, you will definitely enjoy this glossy action thriller. Entertaining in Bits and Pieces.Commercial faring of the film at BO needs to be wait and seen. Dochay is a reasonably entertaining glossy action drama with some romance and humour in the first half, followed by curious interval bang and crucial climax. Dochay will definitely entertain you, if you do not bother watching predictable stuff. Step in without expectations and come out laughing. This is a Family entertainer stretched to 138 minutes keeping you in good humor. Dohchay is a formulaic film lifting its formula from various films. Director of Swami Ra Ra teams up with Naga Chaitanya and ends up giving us a stretched rehash. So there you have it. A flimflam flick necessarily has to do a couple of things, it has to have some thrilling moments and it needs to be funny. On nether of these counts Dohchay comes up as trumps. First half of the film is alright with nice screenplay. The main story is revealed in the second half. It’s slow. Sudheer Varma who came up with a refreshing concept for Swamy Ra Ra seems to have gone for sentiment and drama for this movie. In a revenge movie, it’s very important to have the hero/villain rivalry running right from the beginning. The main conflict point became passive in this movie. It’s a disappointment if you expect the freshness of Swamy Ra Ra. Otherwise, there is a bit of entertainment! 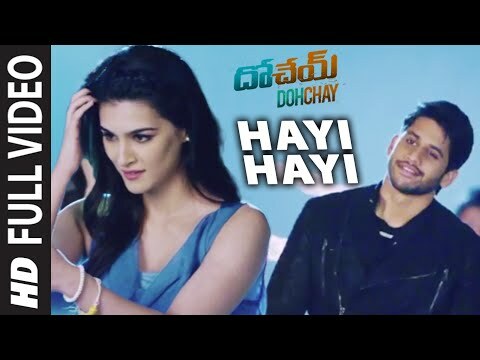 Dohchay lacks speed to dazzle.One cannot find fault with Sudheer Varma as he claimed that he readied this story before Swamy Ra Ra.He got interesting elements in the story but the dragged narration with bits and pieces comedy acted as stumbling blocks. ‘Dochay’ is a pretty decent film with a good blend of comedy and action. The sizzling chemistry between the lead pair, Posani’s negative character, action sequences and hilarious climax episode makes the film Enjoyable, Engaging and Entertaining. It surely joins the list of successful films of Naga Chaitanya’s career. Dochay is a stylish and reasonably entertaining con drama. Comedy, Climax episode, stylish action sequences and glamour offset a slightly slow second half. This will be a film that will find appeal in multiplexes. The story of the movie is nothing new but the narration has been interesting and gripping. The screenplay and the dialogues have been written well. The music has been just ok but the songs have been picturized well.